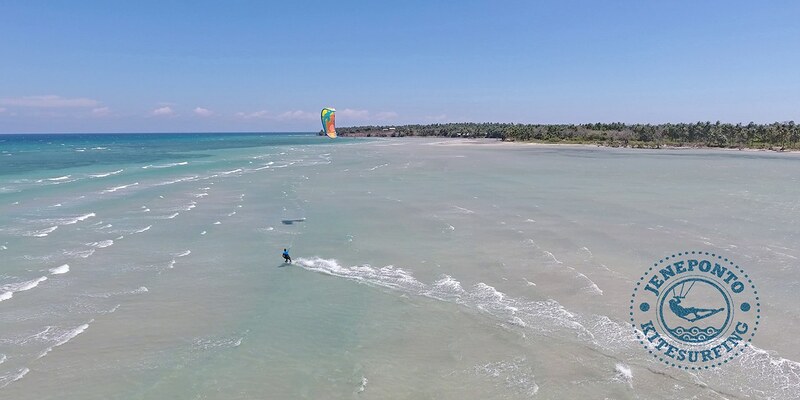 Kitesurfing in Indonesia in the best conditions both in and out of the water.  Jeneponto is a new charted kitesurf spot in Indonesia with a kite school and kite camp accommodations right on the lagoon. 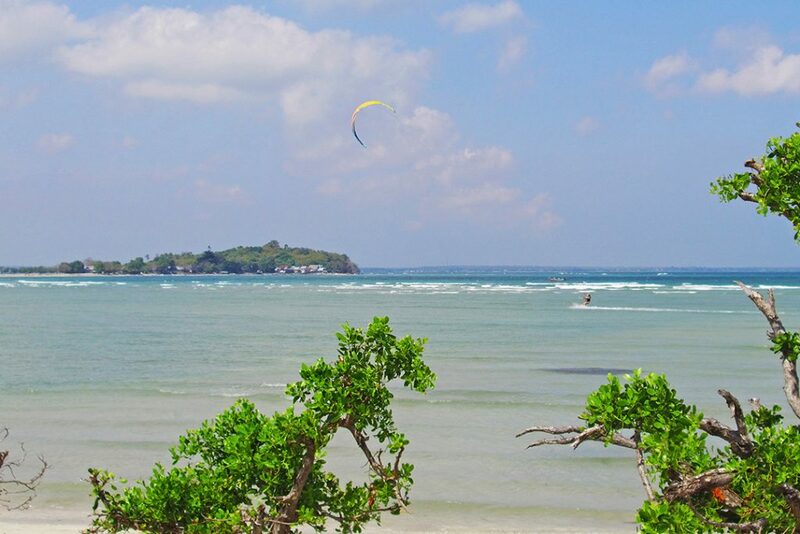 Ideal setting for kitesurf in Asia with pristine and warm waters, stunning weather and tremendous wind. Easy to reach from Bali and Lombok for kitesurf travellers. 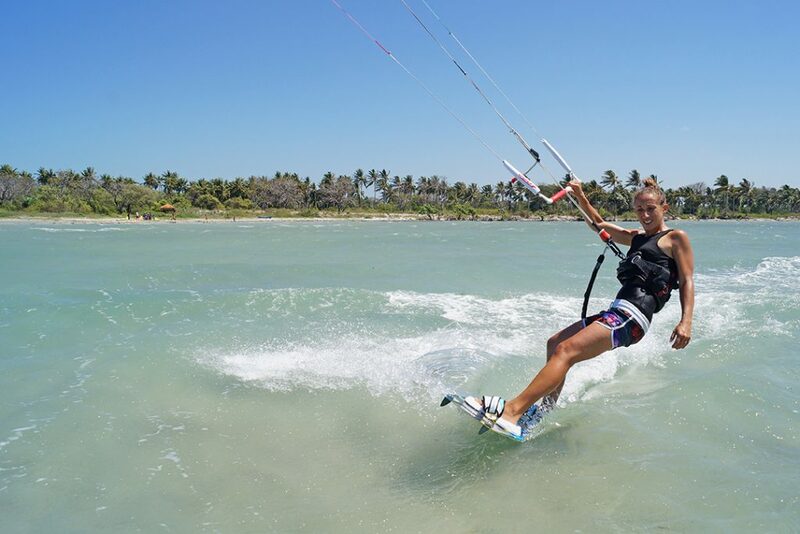 Perfect holidays to learn kitesurf in safe conditions, and to improve kiteboarding tricks for advanced riders. All that under the supervision and coaching of IKO instructor always on the kitesurf spot. Best kitesurfing spot in Indonesia! 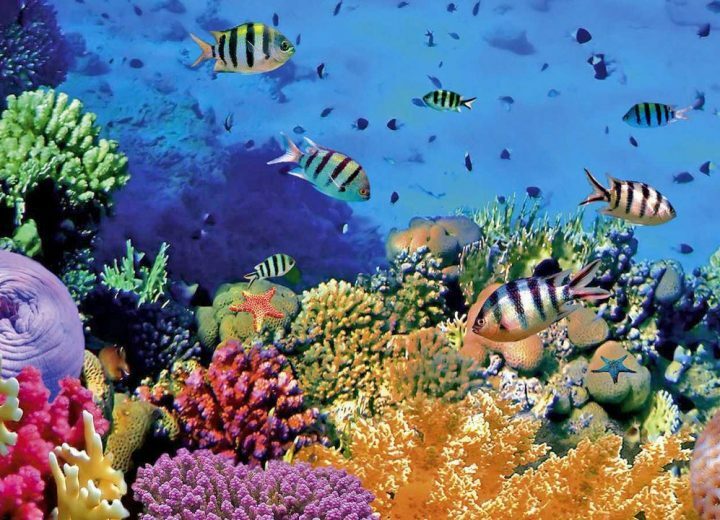 The South of Sulawesi enjoys a strong consistent trade winds from April to October, with a reliable 20-35 knots at peak season. Jeneponto is the home of the biggest independent wind farm in Asia-Pacific. 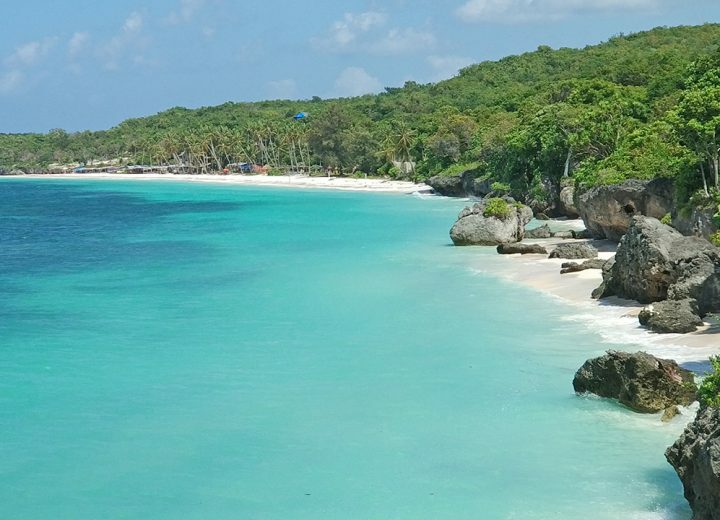 Uncharted kite spot, you will enjoy a huge sandy lagoon away from the crowd. Flat and safe, the spot is perfect for both beginners who want to learn, and experienced riders who love big jumps and unhooked tricks. Exclusive and charming resort right on the shore. Jump from your bed onto the kitesurf spot. Enjoy endless rides beside your comfy nest and your beloved ones. 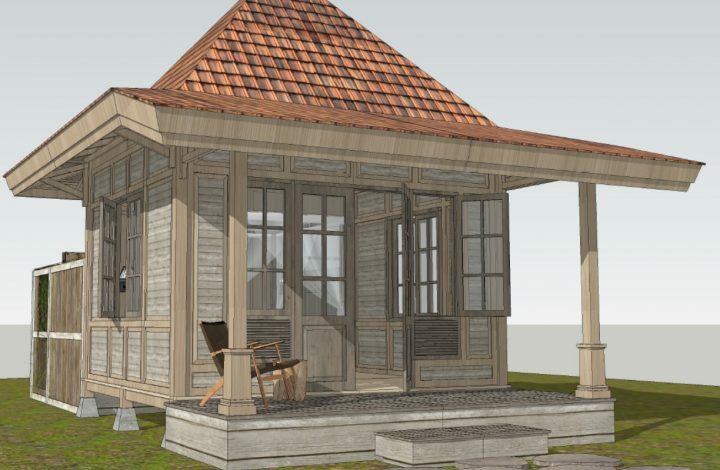 An authentic and unique Indonesian experience. 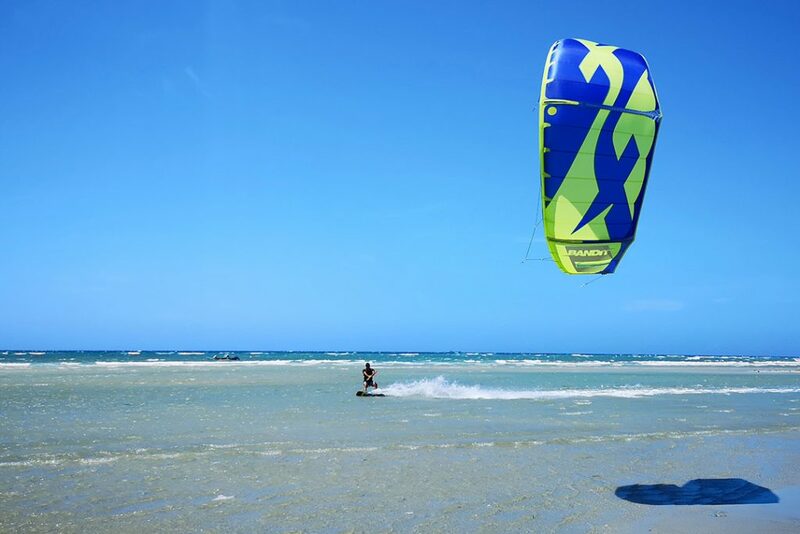 Unlike other Asian kitesurf spots, wind is blowing here during dry season. It means permanent deep blue sky and no rain at all. Temperature with the wind is a comfortable 28°C ideal to ride in bikini or board-short. The wind usually start in the morning till dusk. 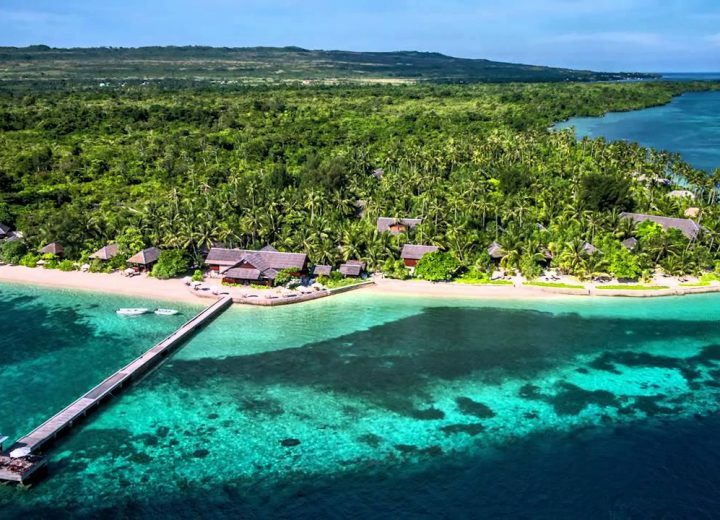 The kite camp located within 2 hours from the Makassar International Airport who provides daily flights from all Indonesian main cities like Jakarta, Surabaya, Bali, Lombok … and also direct flights from international hubs like Singapore and Kuala Lumpur. 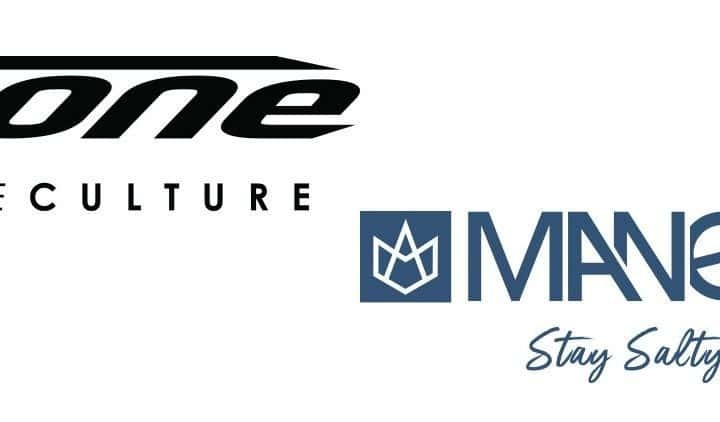 Our kite school provide F-ONE gear for rentals and lessons, a worldwide leading brand for kitesurfing. The Bandit model with its performance, safety and quality is a perfect fit for all levels. Kite gears are checked regularly and renewed every year. Kitesurf at your doorstep ! 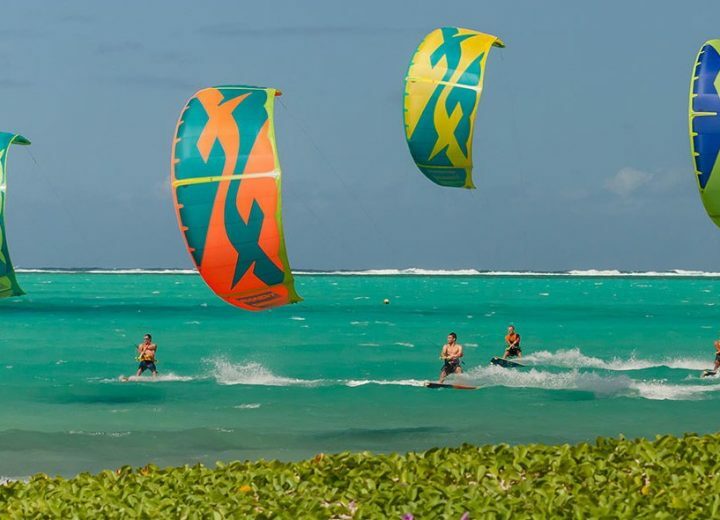 The resort is located right on the shore facing the lagoon, and overlooking the kitesurf action on the water. Only accommodation nearby the spot, it allows you to jump straight from your bed onto the kite spot. We offers a variety of accommodation options from budget to premium ones, with nice view on the garden or the sea. 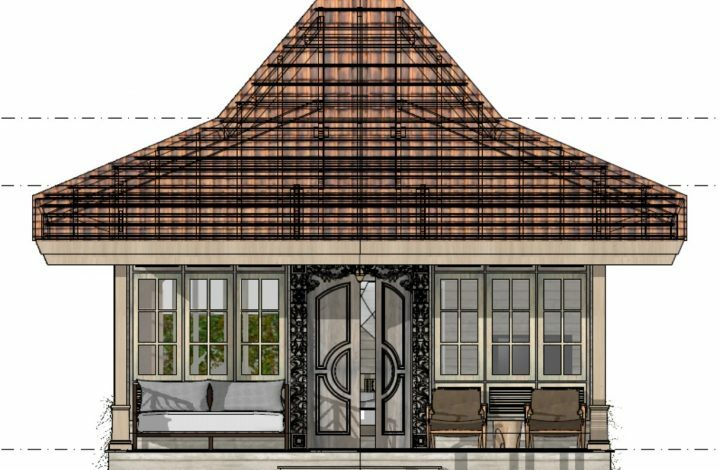 Facilities feature lounge, restaurant, swimming pool and kite center. Sulawesi, formerly known as Celebes is one of the 5 main Indonesian islands (with Java, Sumatra, Borneo, Papua) and the 11th-largest island worldwide. 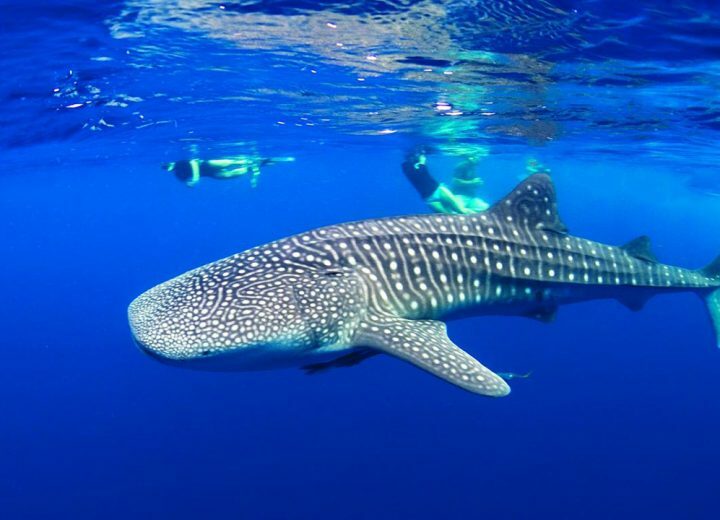 Indonesia with its amazing ancient culture has much more to offer than kitesurfing ! © 2019 PT Angin Sejahtera Indonesia. All rights reserved.